I have met a number of people recently who are going through really tough times. For many people these are dark times in which it can be really hard to imagine there is any purpose in life or that it can have any meaning at all. I imagine that is how those first disciples felt after they had seen Jesus die on the cross. All their hopes had died with Jesus. On that first Easter Sunday, while the men were in hiding, some women went to the tomb where Jesus' body had been placed only to discover that he had been raised to a new level of life. 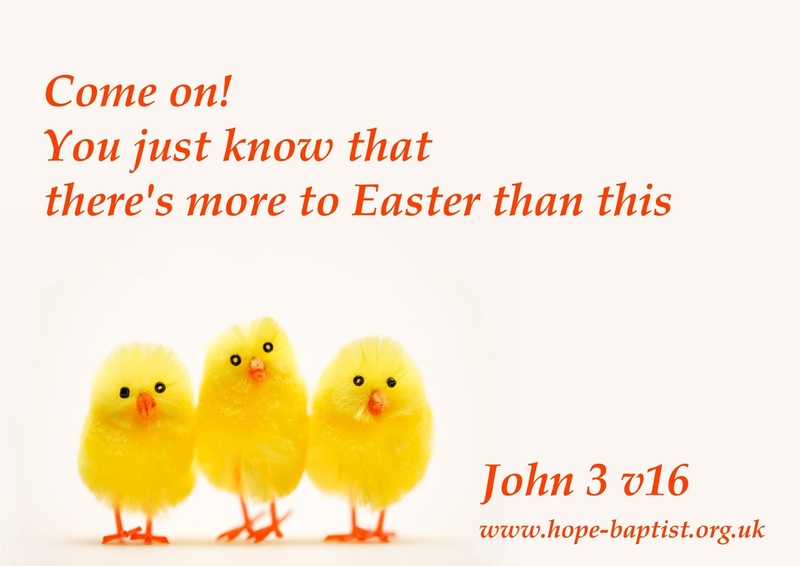 For the disciples then, and I believe for us now, the resurrection of Jesus has the capacity to bring the life and hope of God into our lives and situations. The resurrection of Jesus demonstrated that all the negative and destructive things that have power to crush us can and will not have the last word. There is a story of hope being told in the resurrection of Jesus through which we are being invited to believe that God has a purpose for us and the world, and that those purposes are good. Those first disciples of Jesus believed that what God had done for Jesus he would do for them and for the whole world. Resurrection means that in the end God's life giving purposes of love will win through for us in this world. Resurrection means, God will one day wipe every tear of grief and heal every hurt and right every wrong and overcome every evil. It means that I, we, our communities and ultimately our world have a future. In the crucified and resurrected Jesus, God has opened up a new chapter in human history, one in which life, love and hope can flourish in our lives and communities. The challenge is both believing it and putting it into practice. 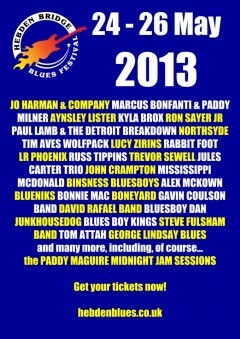 Planning underway to provide our wonderful sanctuary space for the award-winning Hebden Bridge's Blues Festival. Exciting or what?